I've tried creating my own report using the new reporting, similar to the Invoice Aging default report, but could not create the report that includes the Aging Buckets (0 days, 1-30 days, 30-60 days, etc). How do I create a report with aging buckets and how would I export it? 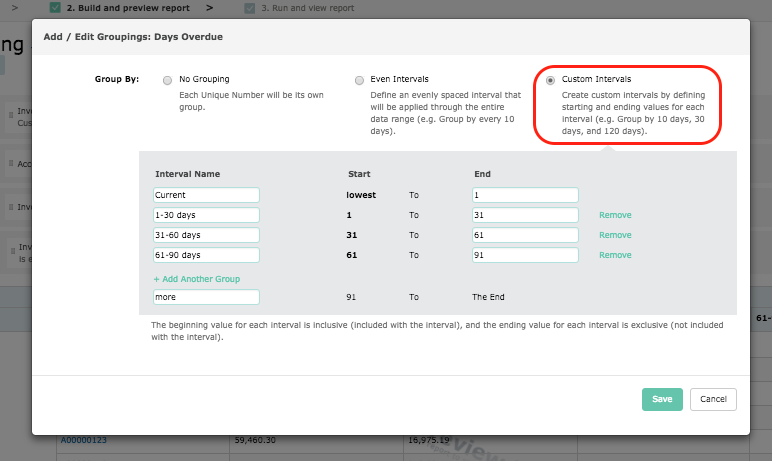 You can utilize the default Invoice Aging report (Summary) and add onto it as needed, setting up additional fields and filters as you see fit. This default summary report will include the again buckets you require. When exporting the report, click on the dropdown arrow next to EXPORT, then click on CROSSTAB LAYOUT. This will export the report in the aging buckets format similar to the preview.